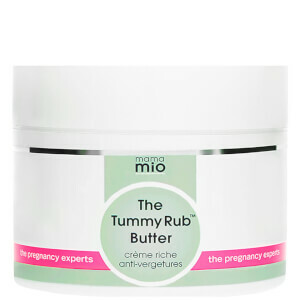 Reduce the appearance, colour and texture of stretchmarks with the Mama Mio Goodbye Stretch Marks Bundle. Clinically proven to visibly reduce stretch marks*, this exclusive bundle containing three bottles will last your entire 12 week treatment. 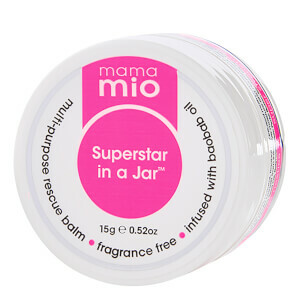 Utilising a cocktail of powerful peptides, fruit extracts and nourishing oils, the powerful formula helps to visibly improve the look of stretch marks and skin pigmentation. Delivering maximum results, it contains Sepicalm™ VG, a plant-derived skin lightening active to help fade marks, Matrixyl 3000 to promote collagen production and skin repair, and Sweet Almond Oil for its anti-itch properties. Safe during pregnancy and nursing, it's the perfect solution to help keep your skin looking its best during times of change. *Based on clinical and consumer trials over the period of 12 weeks. Apply a thin layer over each stretch mark (like finger painting). Apply two to three times a day for 12 weeks for maximum benefits. We suggest you take a 'before' and 'after' picture so that you can really appreciate the change.